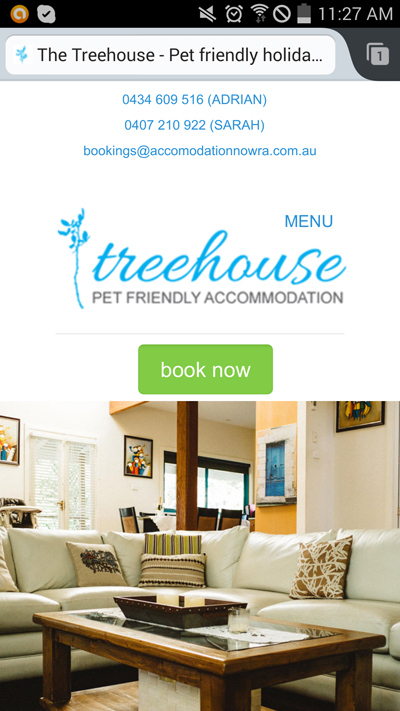 The Treehouse is a pet friendly, self-contained holiday accommodation located in North Nowra. The website features professional photography by 8WEB preferred photographer Ess Vaun and an online booking calendar. 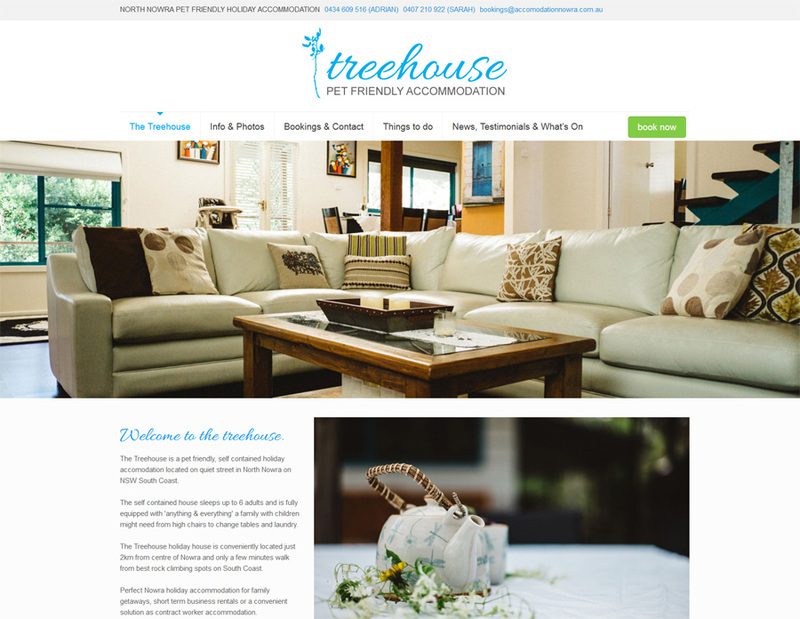 The website is custom designed using a responsive theme allowing for simple navigation and ease of use on desktop and mobile devices alike. 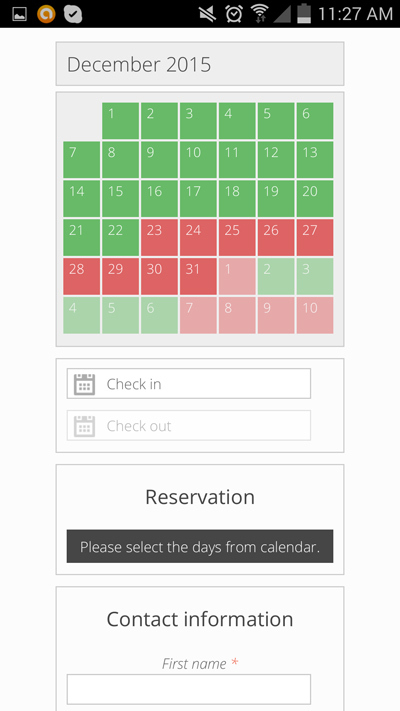 With our training the client is able easily to update the online calendar for date availability and to manage booking requests. Set up of all social media accounts as well as premium newsletter plugin was included in the project. We sat down to provide one-on-one training so that the client is able to update website blog and manage the newsletter themselves. 8WEB continues to provide hosting and other web support. Do you own a holiday property in Nowra or Jervis Bay? 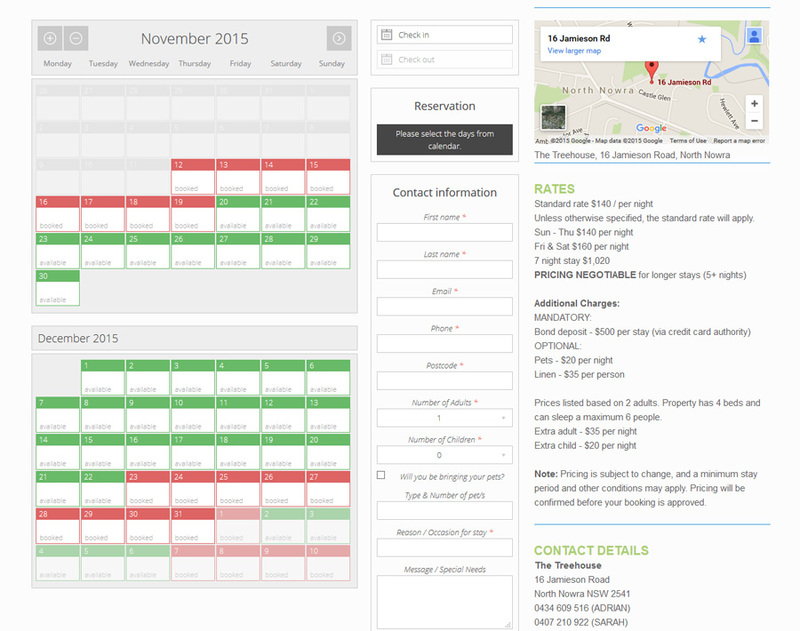 Would you rather manage your own bookings through your own tailor made accommodation website? 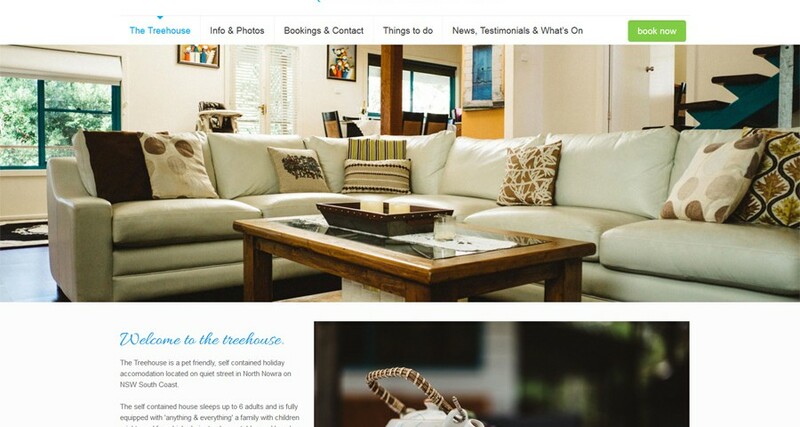 8WEB creates beautiful websites for holiday accommodations that feature professional photography and easy to maintain online booking systems.